The New Year provides a natural opportunity to reflect on the road which we have traveled and to peer ahead to where we are going. We evaluate our priorities and align our goals and make resolutions to direct our steps accordingly. And we are told over and over again that if we want to be happy and make 2014 the best year ever we have to write goals that are S.M.A.R.T. and then know and follow a plan to achieve those goals. Formulas that are big on promises make me squeamish. Yet they easily become the talk of the town so I wonder if I’m missing something that everyone else seems to understand. I churn this whole concept around in my mind, peel back the hype, and wrestle through the implications. In the end, I take hold of this truth. 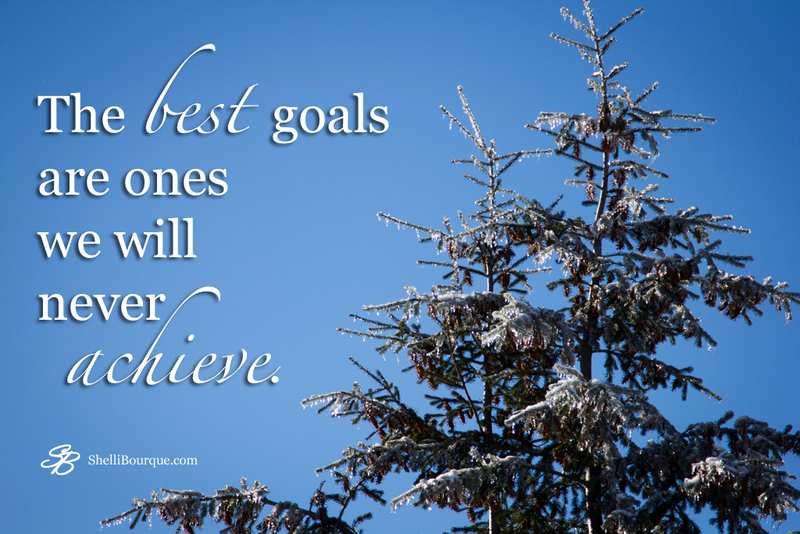 The best goals are ones we will never achieve. What? Why make a goal that cannot be achieved? Wouldn’t that bring about continual discouragement? How could that possibly make us happy? Ah, but who knows the way to happiness? The world? Or the Word? Who doesn’t want to be happy? We seek happiness in people, possessions, and achievements. We drown our sorrows in food, alcohol and lewd living. We are so desperate to be happy that we eagerly grasp anything that promises to provide just a moment of happiness. But happiness that is beyond temporal is found only in the Lord. Therefore, knowing Him is our highest, most valuable goal. Paul knew this truth. He knew he could never fully achieve the prize of Christ during his earthly life. Yet, he pursued the goal of knowing Christ anyway. So precious is knowing Christ that it does not matter if the goal is S.M.A.R.T. A goal is said to be S.M.A.R.T. if it is specific, measurable, achievable, relevant, and time-bound. Knowing Christ is specific and infinitely relevant, yet we cannot fully achieve it so we certainly cannot limit it to a fixed period of time. We cannot even measure it, but we can observe it. As we pursue knowing Christ our progress is seen as growth in grace. It is the fruit we bear (Galatians 5:22) and the garments we wear (Colossians 3:12-17). As we pursue knowing Christ we become more and more like Him. Thus reaching for our goal isn’t so much about what we do, rather it’s about who we become. As you make your resolutions and goals for 2014, including the worthwhile S.M.A.R.T. goals, don’t forget that the biggest and best goal of all is one you will never attain, yet it is the one most worth pursuing. Make knowing Christ your highest goal and you will grow in ways far beyond what you could even imagine. It’s not a formula, but it is a promise you can trust.